Back in 1984, I went to go see Purple Rain with my friend, Fred. It is possible Fred and I were the only two Caucasian people in the theater. There is a scene in the movie, where the owner of the 1st Avenue Club comes to 'the Kid's' dressing room and yells that 'no one understands your music but yourself' and then storms off. The theater was eerily quiet when a woman right behind us says aloud, "that's ok shuga, I understand where you comin' from.....". The theater, including us (albeit a little delayed....because you know.....we were the only two Caucasians in attendance) burst out laughing. I remember telling my friend Jon this story and since then, we have used that line, in one form or another, for the last three decades. So naturally, I laughed and laughed and laughed when I came upon this in the market the other week. I pretty much posted this just for Jon. ....but I'm thinking of Fred too. Down here we just say 'Shug' and leave it at that. Southerners are just too lazy to use all the syllables. 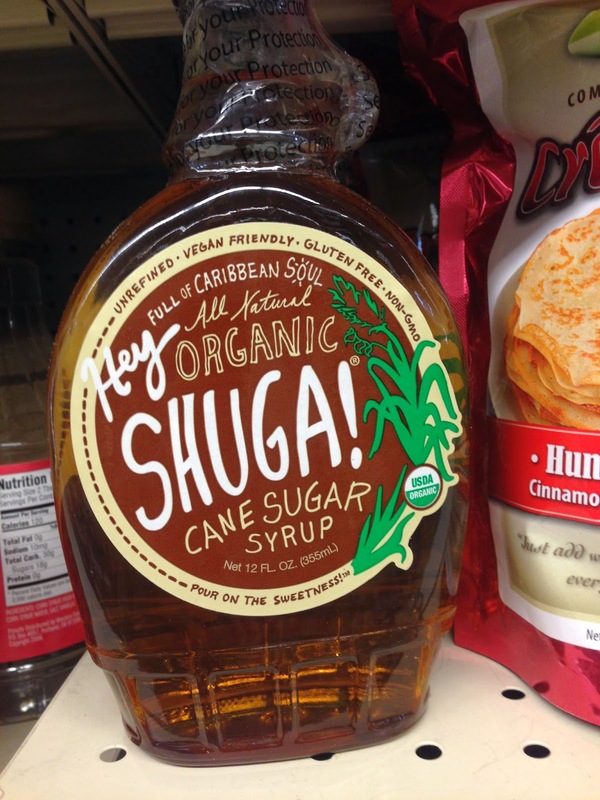 Did you buy the syrup? I think I would have had to, even if I never used it. just looking at the bottle makes my teeth rot!